Another view of the two-level rail/water corridor through the northeastern Ohio university town of Kent. The Baltimore & Ohio's mainline runs along the Cuyahoga River on the lower level, with the Erie's mainline above. 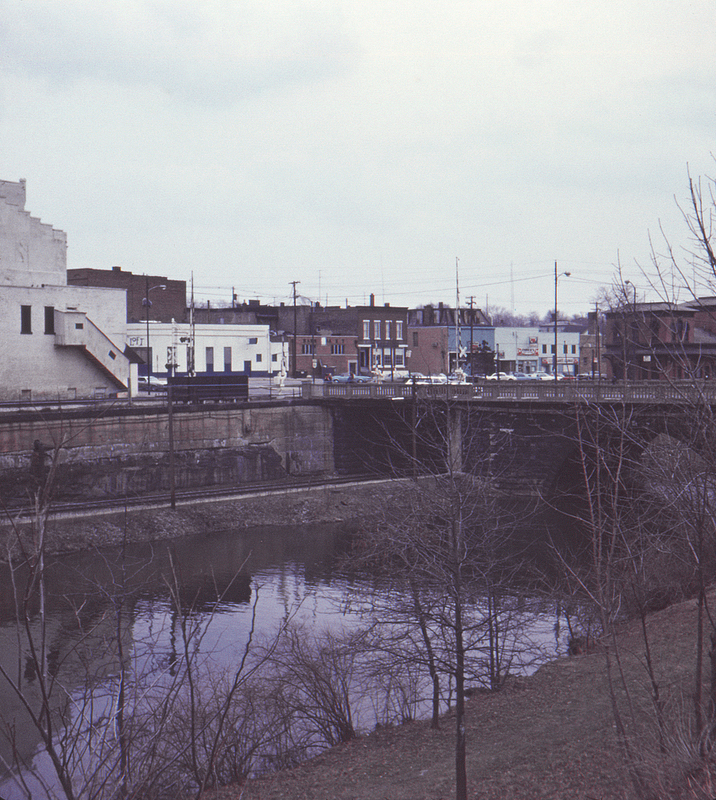 A bit of the Erie's red brick station can be seen at the far right, along with the West Main Street bridge.